Sixty-two year-old Vivek Chaand Sehgal makes it a point to share his business card even with people he has met earlier. The card, running into four sides, lists the name of various companies under the different business verticals of the Motherson group, a diversified automobile component maker. It keeps changing to accommodate the newer companies that Motherson acquires. To date, Sehgal’s company has completed 20 acquisitions, and the 21st buyout was announced early this month. So the card is set to change once again. These 20 acquisitions have come in the last17 years. And while there are a number of instances where Indian companies failed to make acquisitions work, Motherson has succeeded in making each of the buyouts count. It has turned loss-making companies profitable. Out of the 20 acquisitions since 2002, 12 happened to be loss-making companies when they were acquired and four had a very low EBIDTA (earnings before income depreciation taxes and amortisation). Today, all except one are EBIDTA positive. Sehgal, who founded the company along with his mother (that explains the name Motherson), is not in a hurry to execute his strategy at any newly acquired company. “It is a build up rather than a Midas touch. I think people have misconception that you take over an asset and huge profit will come. That is not where we are coming from. You have huge responsibilities and if you are taking these drastic off-the-cuff growth patterns, you must be crazy,” Sehgal, chairman of the group, told Business Standard. 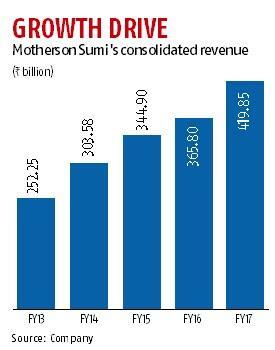 Motherson has turned around a dozen loss-making companies after acquiring them but, Sehgal says, there is no ‘magic’ involved. “People think that it is a magic trick that we do. But it is a collaborative effort of the customers, the people, the management and local governments. All of these need to be in sync. Profit is a by product. The effort of securing the job, the people and customers is a massive mission,” said Sehgal. His company now employs 124,000 people across 36 countries. The wiring harness business of Finnish firm PKC that Motherson acquired for Rs 41.5 billion in March last year alone added 22,000 to the headcount and another 3,000 were added over the year. The Rs 13-billion acquisition of French component maker Reydel announced early this month will add 5,650 more to the staff strength, taking the total to 130,000. Sehgal says it a gigantic task to align the mindset of thousands of employees who become part of the group with every acquisition. Citing the example of PKC, Sehgal said, “We are talking about 25,000 people. We are talking about them understanding the core of what Motherson is, we are asking them how to service the customers, how to improve the business. It is not going to happen overnight. Our job is to ensure that in four-five years, PKC comes out as one of the strongest players in the segment”. PKC has all the right ingredients. Sehgal has visited each manufacturing unit and office of PKC except one. A manager at PKC’s Mexico plant recently wrote a mail to Sehgal that points to the change in attitude under way at the plants. The manager while reviewing the notes from Sehgal’s May 2017 visit noticed that in India Motherson units also sell the dust that is generated during manufacturing. “It is pushing me to think how else to save money for our company,” he wrote. “He has started thinking beyond initial reports. That is a serious attitude change. I can show you umpteen such mails. After each acquisition, you meet people, share your thoughts and influence them. The change is gradual. But a plant guy can straightaway write to the chairman,” Sehgal said. Motherson has set an ambitious target to reach $18 billion in revenues by 2020, from $6.6 billion (approximately) during FY17. However, the chairman insists that Motherson is not just about making money. 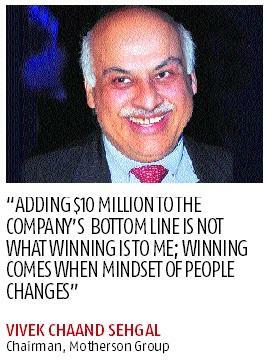 “Adding $10 million to the company’s bottom line is not winning to me; winning comes when mindset of people changes”. In the past, Motherson has had to let go of people at newly acquired plants due to the business environment. But Sehgal always assures that the same people are brought back as and when growth returns. Take the case of the Australian unit. With the local automobile manufacturing coming to an end in the country, the unit lost 80 per cent of its business in just three years. Today, it is back to 70 per cent of its original size and has taken many of the people it let go of back. “That separates the men from the boys. Many other businesses have closed down in Australia after taking grants. We thought about what more could be done,” said Sehgal. His ability to reinvent and change has helped. The Australian unit, for example, diversified into manufacturing rubber products and sleep therapy glasses with the acquisition of a 49 per cent stake in Re-Timer. “Something is going to always happen; a strategy is not going to work. No strategy, according to me, has worked in the last 30 years. You have to react to situations,” he said. Industry peers compliment Sehgal on this execution capabilities post an acquisition. Nirmal Minda, chairman and managing director at auto component firm Minda Industries, said Motherson has created a space for itself in the global automobile components market. “Their integration strategy is well defined and all credit goes to the team there. 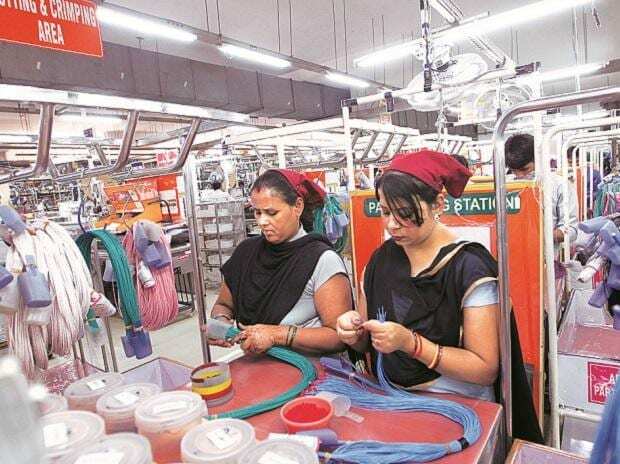 It is the teams that turn around all the acquisitions, keeping in mind a good return on capital.” Sehgal is a thorough professional and focused on making quality products for customers, said Minda. With the strategy getting a thumbs-up, Motherson looks set to stay on the acquisition trail.